The following interview by Rebecca Meredith, M.A., a writer and analytic candidate at the Seattle Psychoanalytic Society and Institute (SPSI), took place in Seattle, WA. in the Fall of 2004. It first appeared in SPSI Developments, Nov. 2004, pp. 4-5 and is reprinted here with permission. Part Two is forthcoming. When I became interested in interviewing Dr. Charles Mangham for SPSI Developments, I assumed that the two of us would have a short discussion about his relationship to the development of child analysis in Seattle. I didn't count on two things: one, that I would find myself interviewing a man who had a fascinating and complex history with some of the great names and ideas in psychoanalysis, and two, that immediately following the interview I would accidentally erase the digital recording and have to do the entire thing over again. To my great relief, Dr. Mangham agreed to repeat the interview, smiling over his shoulder as we proceeded down the hallway to his office with "That's okay; I can make some more stuff up." Dr. M. I'd arrive Friday night and spend the night in the apartment above (my supervisor's) garage. I'd get up the next morning, we'd have breakfast, then 2-3 hours of supervision and I'd go home. S.D. That's much less formal than it is now! Dr. M. Oh gosh, yes! S.D. Do you think it was of necessity or was it the times? Dr. M. Yes and yes. For example, there was no formal child training. If you wanted to be a child analyst you got a child, told him to come four times a week and you got a supervisor. There was only one supervisor, and that was Edith Buxbaum. 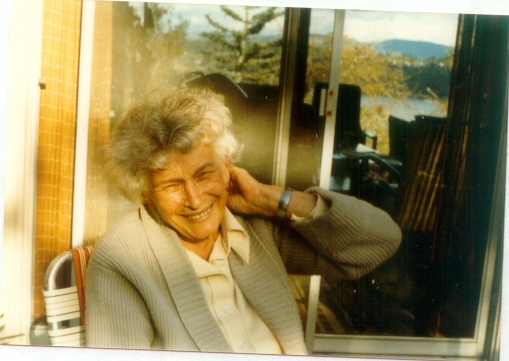 She supervised me from about 1951-52 to 1961-62. She finally told me, "Charlie, I've taught you everything I know, so let's quit," after about ten years. Hurt my feelings. S.D. Sounds like a good relationship. Dr. M. Oh, I had a very strong, positive relationship with her. But then I had other supervision and talked to other analysts, like when I went to the Hampstead Clinic where Miss Freud was. The focus was very different. That was very valuable, to find that the sun didn't rise and set on Edith Buxbaum, and that people had different ways of doing things. S.D. Was Edith Buxbaum very different from Anna Freud's approach? Dr. M. No, but the main difference was that Anna Freud spoke principally in terms of intrapsychic conflicts. The environment, to Edith Buxbaum, was very important. S.D. We talked earlier about your experience in England, with the British object relations people and with Anna Freud. Dr. M. I met a lot of people besides Anna Freud and the people at the Hampstead Clinic. Michael Balint was one. He was the one introducing psychoanalysis to general practitioners. I heard about him, and so I'd go to Michael Balint and ask if I could attend. This was the way I'd do everything then. Dr. M. They were always receptive. They were very, very hospitable. WinnicottI called him up and asked him if I might attend the meetings, and he very effusively said I was very welcome. But they vetted me; they wanted to know who I was and what my experience was. They were very careful. I passed the test and then they invited me to come to all the other meetings. He took the initiative in making me feel at home. So, the following summer there was a meeting of the International Association in Copenhagen. I go over there with a number of my Hampstead Clinic friends and I see him in the hallway and I say "Dr. Winnicott, I'm Charles Mangham and I want to thank you for the hospitality you've shown me in the past year." He looks at me carefully and he says "Who are you?" My Hampstead Clinic friends started to giggle and said "He does that all the time." For example, if (Winnicott) was walking down the street and some analyst comes walking out of, say, Dr. Smith's house. And Winnicott says "Hello Dr. Smith." This fellow, whose name happens to be Jones, says to Winnicott, I'm not Dr. Smith; I'm Dr. Jones." Winnicott says "Oh yes you are Smith! I just saw you come out of Smith's house!" S.D. So he liked to play with people's heads? Dr. M. (laughing) I don't know that he was playing! He was just eccentric. But he was acceptable to Anna Freud compared to some, in that he as invited to attend the Wednesday afternoon presentation of new cases and she was very careful who she invited. There was a lot of rivalry. This was in 1965 to 1967. S.D. How do you think those years changed the work you did here when you returned? Dr. M. Tremendously. What they were doing at the time I was thereand you'll notice this from the writings of the people of that time, particularly Joseph Sandlerwas that they had an index. What they were doing was reviewing all the cases and looking for certain things under "superego," "libidinal phase," "ego strength," "frustration tolerance," all of the psychoanalytic terms used at the time. They were trying to fit the clinical material to the psychiatric terms. I've been reading Sandler's papers. I'm going to teach a course on Sandler. He illustrates very carefully how he's defining everything. For example, internalization vs. identification. Internalization, as I recall, is simply, one takes into one's self the image and behavior of a person and relationship with that person. Identification is when one changes one's self representation to resemble the object representation, and that includes one's relationship with that object, includes one's projected love and hatred toward that object. When you include all of this it becomes the basis for the superego. S.D. How was that different from what you learned from Edith Buxbaum? Dr. M. Nobody made a diagnosis here. They saw a patient and said "This would be a good patient for analysis," but what Anna Freud was doing was having us fill out the diagnosis profile, which had all the metapsychological terminology and how different parts of the clinical material fit with different parts of the metapsychology. I was able to make a diagnosis on all these patients, which I had never done before! With Anna Freud they had all the metapsychological terms. And I enjoyed that. S.D. Does that now help to inform your understanding of others' work? Dr. M. Very much so. For example, the beginning students here don't know how to make a diagnosis. They don't know what terms mean. I feel its part of my task in teaching them to help them clarify their thinking in terms of psychoanalytic theory. originally appeared in SPSI Developments, Nov. 2004, pp. 4-5. Reprinted with permission. Esther Altshul Helfgott, and the URL, www.edithbuxbaum.com.